Summer just started and the temperature is heating up. You want to cool down, but the tower fan in the living room is just not cutting it anymore. You need a swimming pool. You want to feel refreshed and relaxed. However, now you are stressed out again, because you cannot decide between an inground or above ground pool. 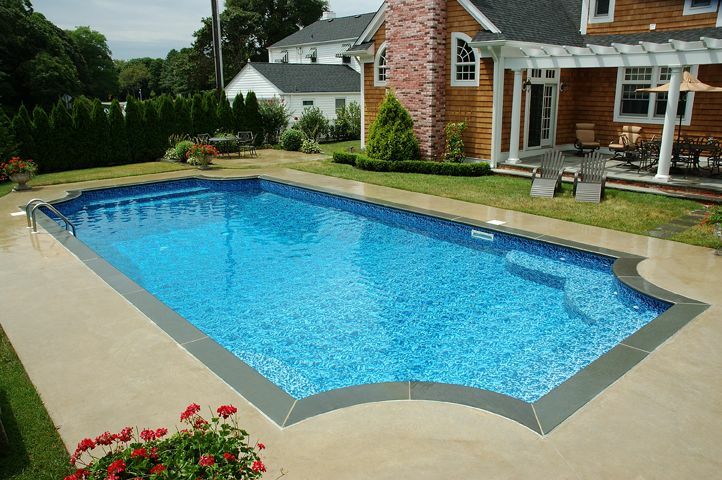 You like the appearance of inground swimming pools, but you want to make sure you can afford it. In this post, we will help you decide which option would be best for you and your budget. One option is an inground swimming pool, which is a pool that is built into the ground. These are arguably the most aesthetically pleasing, but that also means they are more expensive than above ground swimming pools. The price of inground swimming pools can range from $30,000 to $200,000. Some companies advertise inground swimming pools for around $15,000, but this initial price does not include decking around the pool, electrical hookup, landscaping, and accessories like salt chlorine generators and chemicals. Depending on the size and features of the pool, an inground swimming pool can cost anywhere within that price range. Why Does Inground Cost More? Inground swimming pools cost more for a reason. They usually come with beautiful decking and landscaping that makes the backyard look put together. They also can add value to your home if you ever choose to sell it. Inground pools also may be more fun, because they tend to be deeper. A deeper pool is required for fun additions, like diving boards and water slides, which require a certain depth for safety reasons. If you are in a hurry to install a pool or the price of an inground pool is not within your budget, an above ground pool may be the best choice for you. Above ground swimming pools sit on top of the ground and range from around $4,000 to $12,000. Above ground pools are fun for children and will do the job of cooling you down during the hot summer months, but they are much less expensive for many reasons. For example, above ground pools usually do not add much, if any, value to your home. They are considered temporary additions and cannot be used to increase the value of the home a significant amount. Additionally, they tend to be less deep than inground pools, which makes diving and using a slide unsafe. 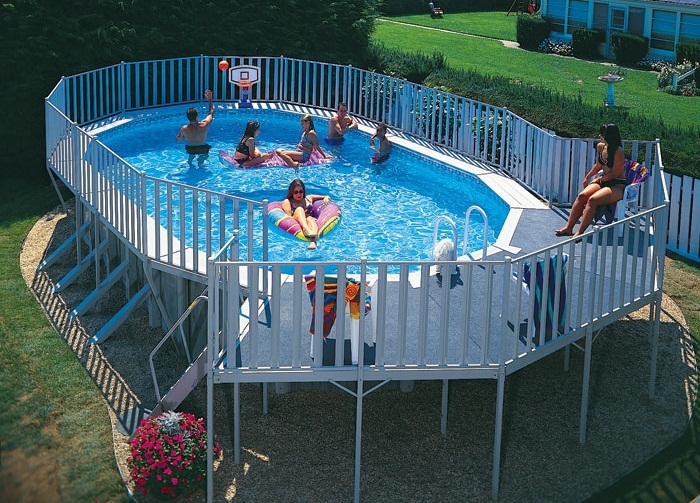 Most people who prefer inground pools to above ground pools like the look of inground pools more. Inground pools look like they are built into the home, whereas above ground pools can look bulky and slightly out of place. One of the ways that people like to make above ground pools looks more stylish is by adding a deck to surround the above ground swimming pool. This could make the pool look more aesthetically pleasing, but this will increase the price of an above ground pool. The price of the pool is not the only expense that comes with getting a swimming pool. Your electrical bill will go up about $40 to $80 per month. The chemicals required to keep the pool clean and safe to swim in will cost you around $20 to $40 per month. These costs vary based on the size of the pool, the amount of use the pool gets, and the temperature of the water. The biggest factors when deciding whether an inground or above ground swimming pool is right for you are the cost and design. So now you know which type of pool you want. Where do you go from here? Contact Open Water Pools and request a free design today.